• Charge, power, sync or transfer data at super-speeds with the USB-C to 3x USB-A & USB-C Hub. Connect up to 3x USB devices and 1x USB-C device via a single multiport adaptor to your laptop or MacBook. High speed 5GBPS (gigabit per second) allows you to access super-speed transfer and syncing rates. 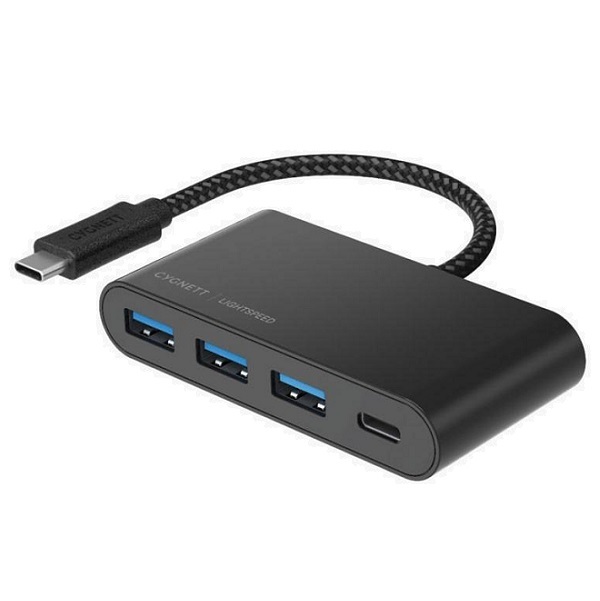 • Two-way USB-C power allows the hub to direct power to best support the requirements of the connected devices. With the addition of 3x USB-A ports the hub delivers all of your charging, powering, syncing and transferring needs. • Connect all your compatible USB-C and USB-A devices with the one compact, portable hub.